In 1950 Lente Roode’s father, Willie Schürmann, bought a 2 000-hectare farm in the Hoedspruit district, which today forms part of the Kapama Private Game Reserve. He made a living by farming sheep and cattle. At that time, lions, leopards and cheetahs were seen as a dire threat to livestock and were often unfortunately shot on sight. It was during her childhood that Lente developed a passion for animals and the African bushveld. At the age of six she was given an orphaned cheetah cub to care for after a neighbouring farmer shot its mother. They called her ‘Sebeka’ and she soon became part of the Schürmann household. Lente and her mother lovingly cared for the cub, and as a result, Lente and Sebeka formed an inseparable bond. After completing her studies in education, Lente married Johann Roode. In 1985, the couple bought their first farm on the border of her father’s land. After Willie Schürmann’s passing, Lente inherited the family farm. Further acquisitions of adjoining farms resulted in a sizeable property and their first venture was to ranch a herd of Bonsmara cattle. A continued battle with predators led to the inevitable decision to transform the land into a game farm. Kapama Game Reserve (covering 12 500 ha of land) was born. 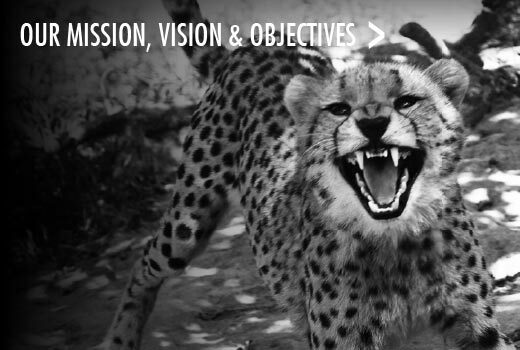 As a result of Lente’s passion for the cheetah, a cheetah-breeding project was established on the reserve. At the time the cheetah was listed as an endangered species. The facility was tasked with the conservation and breeding of the species for possible release into the wild, as well as providing research opportunities to scientists in zoological and veterinary fields. The project gained momentum when Lente contacted Des Varaday (a well-known cheetah breeder whose facility was located near Middelburg in Mpumalanga Province) in the hope of acquiring a few of his cats. Lente had known Des from childhood when he used her cheetah Sebeka as the subject of his book. Des surprisingly requested that Lente take custody of all thirty-five of his cheetahs! His motivation was that he was getting too old to look after them and that he needed a suitable owner, like Lente, to take responsibility for them. She agreed, and with the aid of the then Department of Nature Conservation, the animals were transported from Varaday to Kapama. 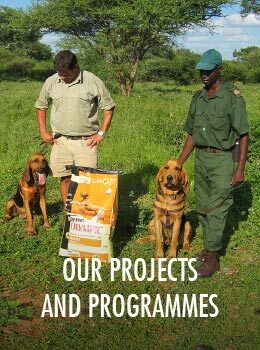 With the assistance and guidance of the late Professor David Meltzer of the Onderstepoort Faculty of Veterinary Science (at the University of Pretoria) and Des Varaday himself, they planned and developed the infrastructure of the centre and built the Hoedspruit Cheetah Project (HCP) within the space of a year. It took a further year for the animals to settle in before it was decided that its doors would be opened to the public in 1990. The responsible tourism activities on offer helped to generate some of the funds needed to run the growing project, while simultaneously providing an opportunity to educate the public about wildlife conservation. The subsequent arrival of a number of other animal species necessitated the name change from the HCP to the Hoedspruit Endangered Species Centre (HESC). After contact was made with the National Zoological Gardens in Pretoria, African wild cats, Ground hornbills and Bald ibises were transferred to the centre. African wild dogs (captured as ‘problem animals’ by conservation authorities) were also brought in. Blue crane chicks, which had been abandoned after their land was cultivated, and orphaned Black-Footed kittens soon followed. Breeding programmes for many of these species were instituted at HESC. The need for extensive veterinary support to treat animals at HESC, as well as injured animals that were brought in for treatment, led to the establishment of a veterinary clinic with an animal hospital (with recuperation and quarantine facilities) in 1995. 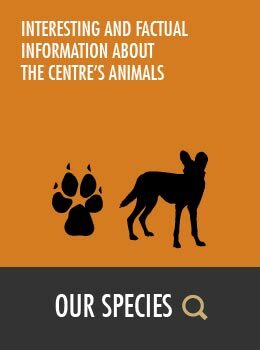 The centre is a non-profit organisation which invests all funds made back into nature conservation in order to help ensure the continued survival of all endangered animal species. Today, HESC has established itself as one of the leaders in the breeding and research of endangered species. Besides this, the centre provides a safe haven for orphaned and sick animals and also offers an education centre where the public and our younger generation can learn about endangered species by observing them at close range. The Hoedspruit Endangered Species Centre works closely with advisory committees of the Pretoria Zoo and the University of Pretoria. Since the passing of Professor Meltzer, a specialist Advisory Committee has been appointed to assist HESC with the management of its many functions.